This book is about judgment. It articulates the self-consciousness of judgment, that is, what we understand about judgment in judging. Rodl argues that what we understand puts us in a position to reject as untenable many substantial philosophical views. Even more controversially, Rodl argues that by articulating what we understand about judgment in judging we end up understanding that absolute idealism is true. To most contemporary philosophers, this brief statement of the book's subject matter and of its main claim will sound at best perplexingly ambitious, at worst hopeless. In fact, this book is in many respects a sui generis work if compared to mainstream contemporary (analytic) philosophy. It defends views that are not rejected in contemporary debates, but rather completely ignored or taken as non-starters. The overall project goes against current trends in most philosophical debates: Rodl's reflection is a resolutely first-personal investigation into the nature of judgment, an attempt which is in practice rejected by the appeal of most contemporary philosophers to considerations stemming from an external perspective with respect to judgment itself (e.g., considerations from science, appeal to linguistic data and intuitions, appeal to common sense, etc.). Moreover, the sort of first-personal investigation carried out by Rodl is not the relatively well known descriptive approach in philosophy of mind pursued by phenomenologists -- namely the attempt to describe the features of the experience of judging (the 'what-is-it-likedness' of judgment). His work is phenomenological not in the Husserlian sense, but rather in theHegelian sense. The articulation of the self-consciousness of judgment is reached by looking at the conceptsthat we necessarily deploy in judging when we attempt to articulate what we understand in judgment. In this respect his avowed masters -- on which he masterfully draws -- are Aristotle and Hegel: "The works of Aristotle and Hegel are the unsurpassed achievements of the effort to articulate self-consciousness". (157). In order to give to a contemporary analytic philosopher -- the sort of interlocutor which Rodls often seems to have in mind -- a grasp of the sort of work that is carried out in the book, it is useful to consider an example of the way in which an articulation of the self-consciousness of judgment allows us to discard substantial philosophical thesis as untenable. In Chapter 6 Rodl rejects externalism about knowledge and justification, a view whose acceptance is widespread in contemporary analytic circles. According to Rodl "there is no externalist account of knowledge, no externalist epistemology". (90). And this is what he means: it is not that externalism is false, rather it is impossible to be an externalist, for it is impossible to hold, that is to judge as true, the externalist account of knowledge. Here is Rodl's reflection. An externalist epistemology holds that our judgments can amount to knowledge if they are properly caused. Crucially, Rodl argues that the explanation for our judgments that features in externalist accounts is such as to leave it open whether our judgment is true: that is, if I take one of my judgment to be explained by a typical externalist explanation then at best I am in position to conclude that my judgment is likely to be true, but not that it is guaranteed to be true. And this is the problem: in judging, I do not leave it open whether things are as I judge them to be. Hence, I can't understand my judgment as being valid if I regard it as explained by some externalist account. Thus, there is no judgement which is also explained by an externalist account: I simply can't at the same time judge and also take my judgment to be explained in a way that leaves it open whether my judgment is true. The impossibility is clearly psychological: as he puts it in a footnote, (fn. 3, 173): "... I cannot conjoin, in one act of the mind, my judgment and its explanation, unless this explanation reveals my judgment to be valid". This is why there can't be externalists: once we articulate what we understand about judgment in judging we realize that we understand that my judgment can't amount to knowledge in the externalist sense of knowledge. By relying on this sort of first-personal characterization of the self-consciousness of judgment, Rodl defends many controversial theses that are likely to attract the attention and curiosity of many readers. To name just a couple of them, he rejects (in Chapter 2) the distinction between acts and propositional contents, and he argues (in Chapter 9) that it is internal to our self-consciousness of judgment that the law of non-contradiction is valid. Another potentially shocking feature of Rodl's book is his view of philosophy. Philosophy is the science that articulates the self-consciousness of judgment. This is what Rodl calls a 'science without contrary'. A science without contrary is such that we can't argue for its truths and we can't argue against them and holding their negations. The truths of the science without contrary are those that we know in judging. 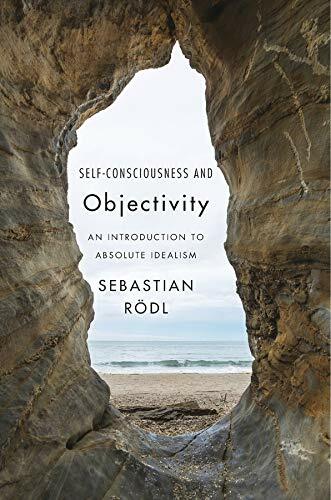 To see why Rodl comes to hold this view of philosophy, we need to see in some detail what he thinks of self-consciousness. Judgment is self-conscious of its own validity because in judging we take it that we are judging validly, or truly. Crucially, this self-consciousness is not a further mental act that accompanies judgment. Rather, it is part of the nature of judgment itself to be conscious of its own validity: "in judging that things are so, I think it correct so to judge. I do not, in one act of the mind, judge that things are so and, in a second act, think my judgment valid. Rather, judging that things are so is taking it to be right to judge that they are."(4). Now, consider this "thesis", namely that in judgment we take it to be objectively valid. No argument is needed for it, for arguments cite grounds for the conclusion; yet, if judgment is self-conscious, then no ground is needed, for the knowledge that it is self-conscious is contained in any judgment. This applies to all we know about judgment in judging. Thus, it is strictly speaking inappropriate to say that Rodl is 'defending a view' when he outlines what is contained in our understanding of judgment: "The idea of judgment that the present essay undertakes to expound is nothing other than the idea of judgment that is contained in every judgment. Hence, this essay not only is about the self-consciousness of judgment; it is -- the expression in language of -- the self-consciousness of judgment" (12). From this, he draws an even stronger conclusion: "This explains what might appear a curious character of the present essay: it propounds no theses, advances no hypotheses, does not recommend a view or position; it does not give arguments that are to support a view, it does not defend a position against competing ones, it does nothing to rule out contrary theses". (13). The philosophical work is rather to "remove obstacles" to the proper comprehension of judgment. Relatedly, it is impossible to hold a contrary view -- e.g., that judgment is not conscious of its own objective validity -- for holding a view is to judge, but judging is being conscious of the objective validity of judgment. Therefore, to reflect on views that appear to deny what we understand in judging, is to "consider what seems contrary … and bring out that there is nothing there" (42). "Therefore it is wrong to say that there are people who take a different view. … There are no such people because there is no such thing as taking a different view. If something is known in any judgment, then there is no such thing as saying "no" to it. What is known in any judgment has no contrary". (39). This much will be radical enough to invite the reader to study this work carefully. Moreover, the book gets even more interesting as the author leads us into the apparent incompatibilities that we seem to discover about judgment in judging. One of the overall aim of the book is to explain how judgment can be both self-conscious and objective at the same time, and to explain how there could be judgments of experience -- that is, judgments that depend on affection -- if in having these judgments we both regard them as in need of justification and as being objectively valid. In dealing with these issues, Rodl's engages with the thought of Peter Strawson, Gareth Evans, Adrian Moore, Thomas Nagel, John McDowell, and draws on Wittgenstein, Hegel, and Aristotle in order to elucidate what the problem is and how to solve it. His complex reflections culminate with the endorsement of absolute idealism, namely the thought that the self-consciousness and objectivity of judgment, far from being two incompatible features of judgment, are one and the same thing: judging is a form of "self-knowledge of knowledge, or knowledge knowing itself" (15).